Create a new standard for organizing. Economy 19 1/4"D letter size tub file keeps important files close at hand. 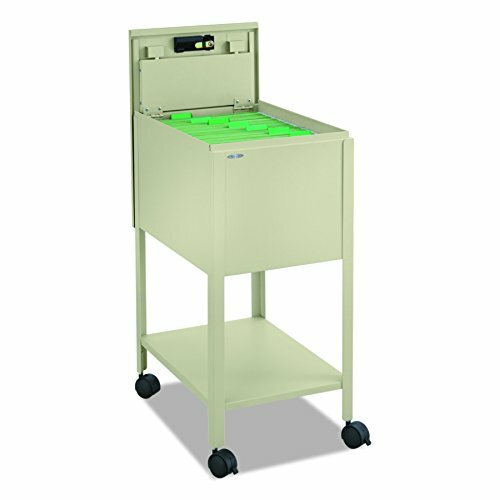 Durable steel construction with locking lid (two keys included) slides behind unit for access to files. Top viewing design allows easy filing and retrieval of stored documents. Accommodates letter size hanging files, additional file rails to support legal-size files included. Lower shelf for additional storage. Tub files roll easily to point of use on four swivel casters, 2 locking. If you have any questions about this product by Safco Products, contact us by completing and submitting the form below. If you are looking for a specif part number, please include it with your message.